Did you know that Master Muffler Brigham City does tire service and sales? We are your full service auto shop in Cache Valley. With Utah's extreme climates and seasons, its always important to have your tires checked regularly. Our expert technicians can make sure that your tires are ready for the coming months, make any required adjustments, or get you new ones. Our convenient location is ready to service all of Cache Valley, Utah including: Mantua, Nibley, Logan and Tremonton. So, if you need snow tires, performance tires, or any tire service: Stop by Master Muffler Brigham City. You tires need maintenance and attention just like the rest of your vehicle. Especially in Cache Valley where we get the worst of Utah's extreme weather conditions. Keep in mind that most vehicles have front wheel drive, which puts your drive power right under the heavy engine. While this is good for traction, it causes your front tires to wear faster than your back ones. To correct for these issues, you should have your tires rotated and realigned regularly. Often times, our expert technicians will take a look at your tires while we are performing any other type of maintenance. If you're ever not sure about the state of your wheels just let us know to take a look anytime you come in for any reason. 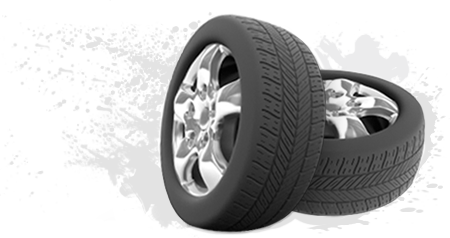 We can usually diagnose tire issues with a visual inspection and a few questions.